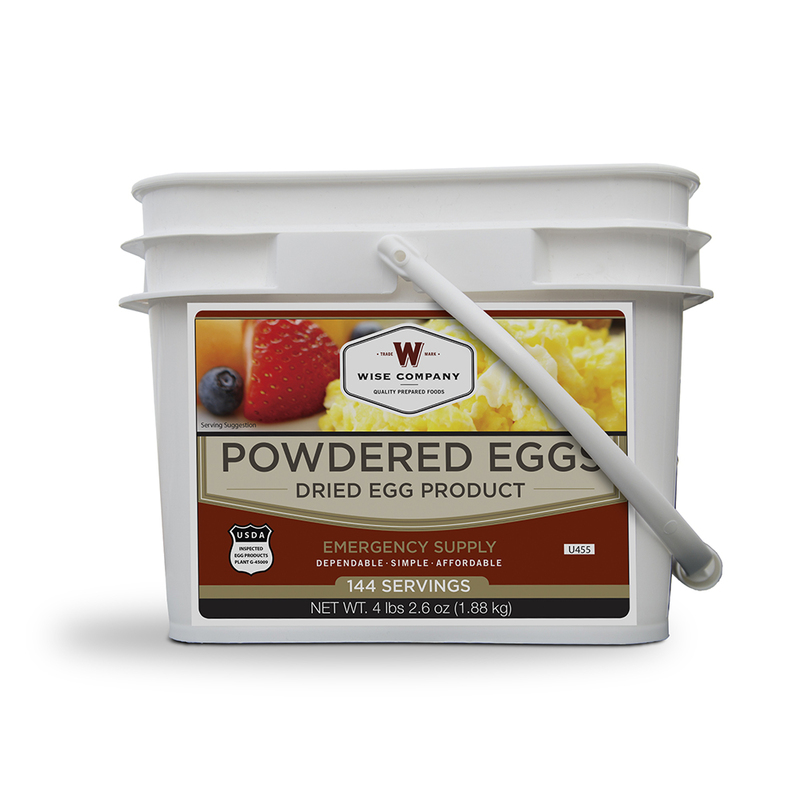 144 serving bucket of powdered eggs for emergency, outdoor, or everyday use. No refrigeration required. Easy to prepare. Convenient to store. 25-year shelf-life.